Extra virgin olive oil is a mainstay in my kitchen. It is what I use to cook most dishes I prepare that require oil. So, I so I was really excited when the Gaea team invited me to check out their line. I am always on the lookout for high quality olive oil that tastes great and is a good value. Gaea definitely 'fills the bill' on both accounts! There are several Gaea olive oil varieties, all of which are made from ingredients that are 100% natural. They do not use any preservatives or other additives. I had an opportunity to try two types: Sitia estate grown extra virgin olive oil and their extra virgin olive oil with a dash of lemon. Both are packaged in bottles that have collapsible pouring spouts (a wonderful feature!) and have a delightful flavor. 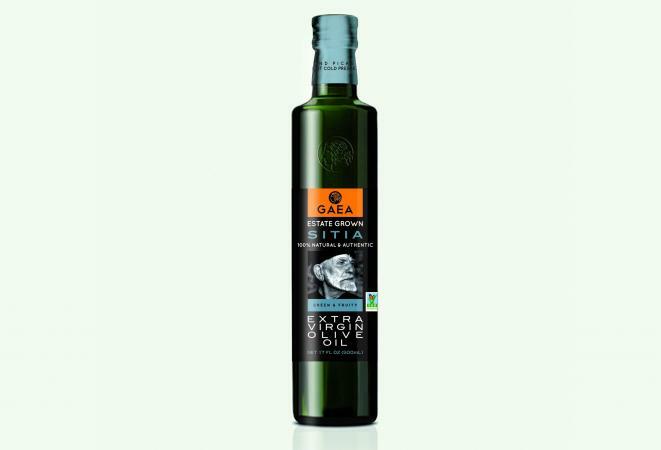 Sitia: This variety is made with olives grown in "the most celebrated olive oil producing territories in the world." It is made from the Koroneiki variety of olives and has a distinctly fruity flavor olive oil is known for, as well as an aroma that is a bit peppery. I have used it to cook both steak and vegetables with delicious results. It costs just $12.99 for a 17-ounce bottle. Dash of Lemon: I immediately used this one in my favorite tzatziki sauce recipe with wonderful results. The distinct lemon flavor gave it a unique flavor that paired very well with both gyros meat and chicken. It worked so well for that purposes that I also cooked chicken with it. If you're a fan of lemon chicken or lemon pepper chicken, you will really love this olive oil. An 8.5-ounce bottle costs just $8.99. Better Homes & Gardens named Gaea as the best Greek olive oil. After having a chance to try the brand myself, I can definitely see why. It is an absolutely delicious high-end product available in user-friendly packaging at a reasonable price. For a foodie/cooking enthusiast, that combination is hard to beat! Gaea is a long-time Greek producer, and their olive oil products have been available in the U.S. through an exporter for many years. They established a North American headquarters in 2015, so their products are even more widely available now. Use their online store locator to find a retailer near you. Gaea operates a tasting center and showroom in Hollywood, Florida where both wholesale and retail products are offered for sale. They also host presentations and tastings at the location. If you are a big fan of quality olive oil and you find yourself in South Florida, you just might want to check it out! Note: The author received free samples of Gaea olive oil at for review purposes. The opinions shared here are her own.